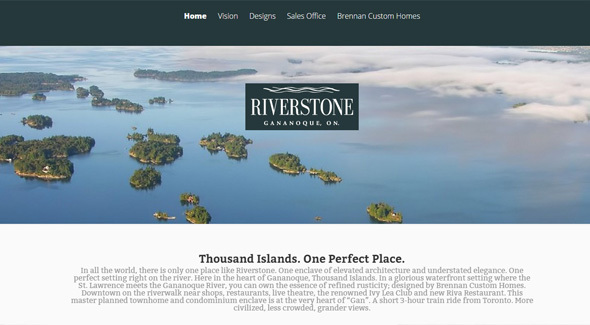 With the glorious backdrop of the Thousand Islands, the new Riverstone Gananoque residential project will feature unique amenities, such as the riverwalk and courtyard among others and set this desirable master planned condominium and townhome neighbourhood apart. The project introduction and sales web has a responsive WordPress engine that makes the site mobile friendly, allows marketing staff to maintain the site’s content, manage online marketing efforts and track results. We are a web development agency with 17 years experience. We help businesses navigate through the digital landscape, producing effective online tools for your staff and your customers along the way.